ChinaSource | This Is Crazy! "This is crazy," I observed to my audience of parents and high school students in Beijing. "Why on earth would parents send their 14- or 15- or 16-year-olds to the other side of the world for schooling, especially when studies show some of the best schools in the world are in your own country?" "Yes, it is crazy, but it's the way it is" was the overwhelming response, accompanied with shrugged shoulders. "Really? But these are just kids, young teenagers, some kids even younger! Kids belong with their parents, don't they, for love, nourishmentto be shaped and developed in a good and healthy way!" "Yes, that would be better, but it's the way it is." Then the frustrations with the gaokao* system flooded the discussion, followed quickly by concerns about the pollution. 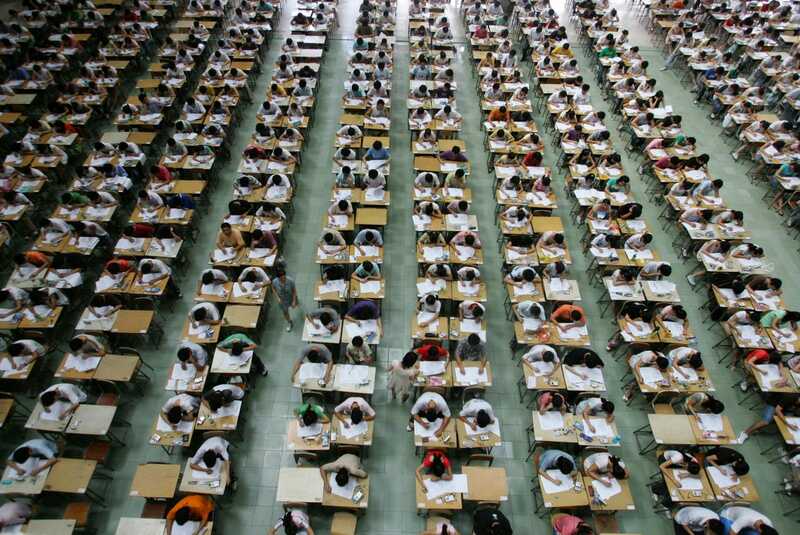 "The education system in China is more geared toward filtering out the outstanding students through the exam system. I don't believe the examination system should be the only tool to be used in the education system. It just makes the kids become test-taking machines. I want to build around my child's talent and ability to cope with the real world. "China is an atheist country that doesn't believe in God. The education system is based upon the evolution system. Most of the people in China are not believers. Kids can't discuss their faith at school. I don't want this kind of environment to create a negative impact on my child's faith. "The education system in China is lacking in educating the kids to have social responsibility. Most of the kids' only vision is to get into college, without any other vision in life. I don't want my child to grow up this way. "I also want my child to study in a better education environment so she can find her talents and develop them to their full strength." When I recently asked a Chinese sociology professor if parents and students are running from or running to, he reflected that while many are finding that the grass is not greener on the other side, they are running from because, most notably, parents are scared of their kids committing suicide, of being victims of the gaokao system. Ah, that would explain the shrugged shoulders, "It's the way it is." * National Higher Education Entrance Examination - China's two-day university placement examination. For more on Chinese high school students studying in the U.S., read the summer issue of the ChinaSource Quarterly, "Partnering with Chinese Families to Educate Students in Christian U.S. High Schools."